By creating a compelling story and conveying it across multiple channels, brands are able to bring to life a sense of purpose and draw in consumers on a deeper level. But is traditional storytelling still as effective as it used to be? More and more brands look to target a demographic that seems to care more about social good than heritage or status. Consumers are looking for real-life, relevant experiences and, as a result, the one-way communication trend is losing ground to a fully immersive, three-dimensional approach. This brings us onto the concept of ‘storyliving’, which is more about what brands do, and less about what they say. But what exactly is storyliving, and what are the benefits? Consumers desire a more personal connection in the way they gather information. This is why most tend to value recommendations from friends and family over brands, and why they’ll naturally be more engaged by an emotion rather than factual information. Storytelling is one way to create this personal connection. However, the reason why it doesn’t always work is down to a lack of authenticity. Storytelling needs to be driven by a brand’s core principles and to embody its company voice and culture, it can’t come across as inauthentic and false. Storyliving can be the way a brand can enhance its authenticity. Essentially, it is when a brand does more than just tell a story, and takes action of some kind – whether that’s to encourage positive behavior in others, support a cause, or create meaningful experiences. Consumers demand more from brands than ever before, particularly when it comes to doing good. According to recent studies, about 87% of consumers will purchase a product because a company advocates an issue they care about, while 76% will refuse to purchase a company’s products or services if it supports an issue contrary to their beliefs. It’s no longer enough for brands to promote a cause. Now, they are expected to prove their commitment and take action to drive change. Storytelling tends to be a one-way conversation, with brands merely talking at consumers rather than to them. This means that, regardless of how powerful the story is, it still simply adds to the thousands of marketing messages that consumers receive every day. 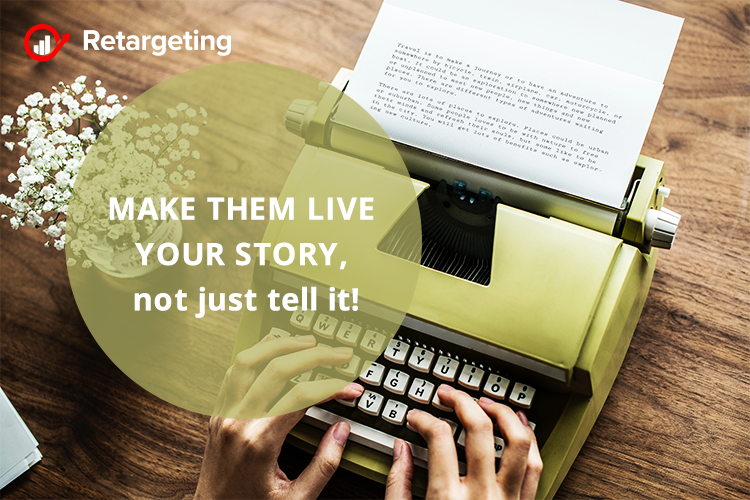 On the other hand, storyliving is when brands open up a dialogue with their audience, and actively involve them in the story, which helps to increase the authenticity of the brand, putting its service in the context of real life rather than through the lens of marketing. A final and important element of storyliving is experiential marketing, which allows consumers to become fully immersed in a brand experience. In order to create compelling experiences, however, brands are now recognizing that it’s about how they make people feel rather than the message they convey. In other words, an action is more important than words. Taking it further, brands are recognizing that these experiences become more memorable when they are shaped by the consumers themselves rather than the brand’s own agenda. Experiences need to offer something related to the consumer’s wider interests or needs. Ultimately, with every brand having a story to tell, the very best differentiate themselves with a dedication to living it and helping their audience to do so too. How to take advantage of influencer marketing!